The readings I get for pins 7 and 8, 22 and 21, and 22 and 20 are normal, but for 8 and 1 get nothing. This lead me to assume there is perhaps an issue with the solder joint for the first pin on the socket, but no matter how much I try I cannot seem to successfully desolder the screen from the board to investigate. Also, embarrassingly, the space between the pins and the socket is really tight and I ended up melting the edge of the socket a bit although it looks like it’s probably just cosmetic. Since it’s the first pin I can see it from the side and it looks ok, but I can’t really know for sure. Additionally, here is a picture of the current state of my board if it’s of any help. As you can see, I’ve managed to remove most of the solder from the screen header pins, but not enough to facilitate it’s removal. I’m also a bit concerned that I appear to have damaged the boards coating a bit under the headers. I have no idea how big of an issue that might be. Does anyone have any advice about where to go from here? I’m afraid of causing permanent damage if I keep trying to get the screen off if I haven’t managed to do it already. Thanks in advance for any help or advice! I really hope I can get this working! Hi @Ferociousstrike, I was the one who posted that topic, its been a while since I’ve been here so I might be a little rusty on the topic. It looks to me that you haven’t solder resistor R3 10k which connects to pin 1, (Step 13). @bitfogav you are my hero! I soldered on that resistor then resoldered the screen properly and it powered on. Thank you so much! Nice work!!. 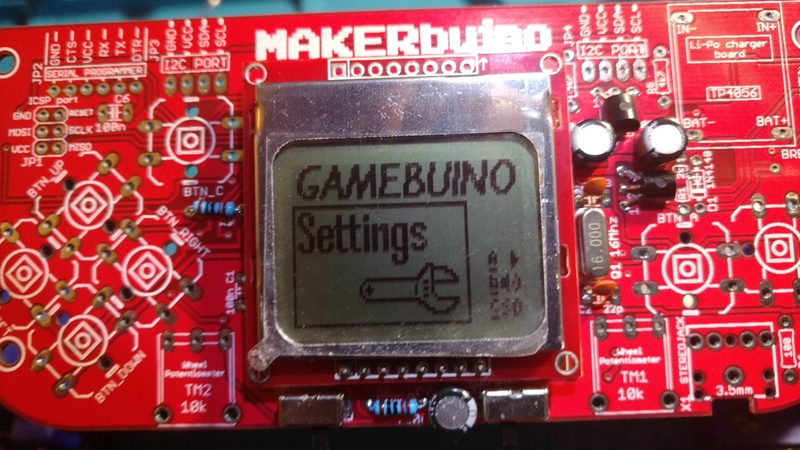 Enjoy your makerbuino when you have finished it, mine gave me many hours of fun! 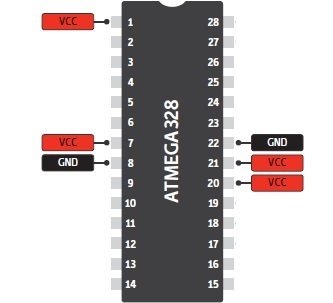 *If anyone would like to know the R3 resistor stops the atmel chip from being in a constant reset loop. @bitfogav, thank you so much for helping out here, but I’m not completely sure how this helps the device work? 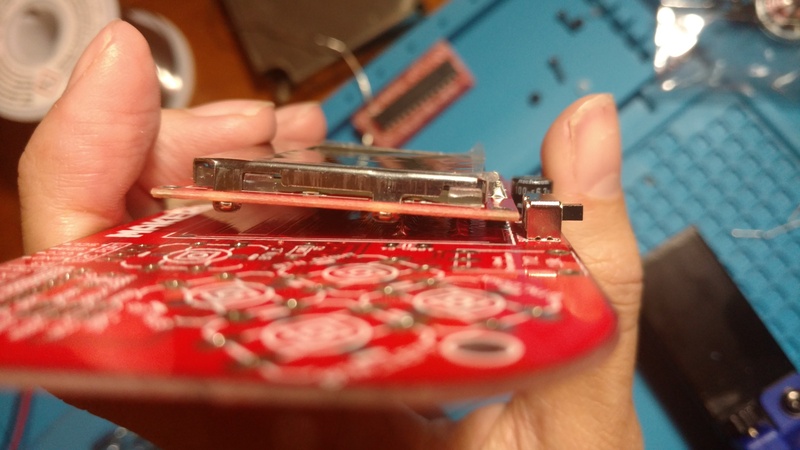 The RESET pin of every microcontroller should be internally pulled high and should only reset if you intentionally pull it low. We’ve tested this on workshops and a huge amount of devices before and it was working. Additionally, I think this was caused by bad soldering joints on the microcontroller socket underneath the screen, not the lack of resistor. 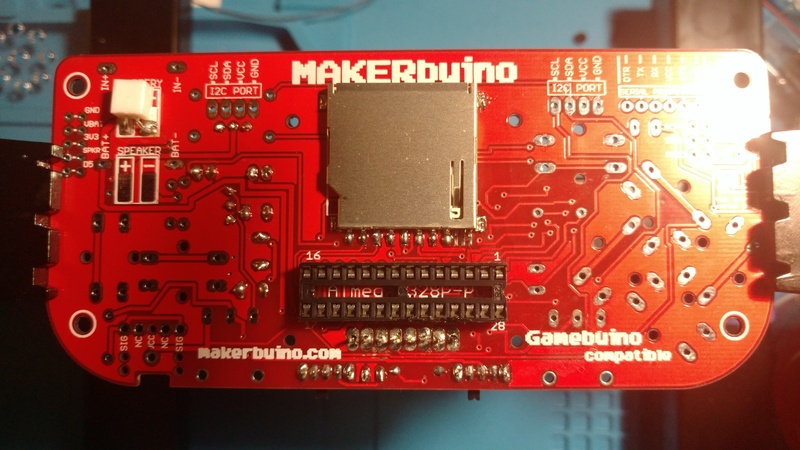 Bad soldering joints underneath the socket is the most common problem users usually have while assembling their MAKRbuino. in the real world especially ones with noisy environments can and will cause the “weak” pull-up to be insufficient. This may explain why in certain environments this works fine, in others this doesn’t. (this is why the datasheet says to use an external pull-up). There are also two other topics also indicating that they have the same issue when they are at step 12.